Many areas of San Diego County saw below freezing temperatures Tuesday night. A frost advisory has been issued for inland areas, until 8 a.m. Wednesday and will likely be issued again for tonight. 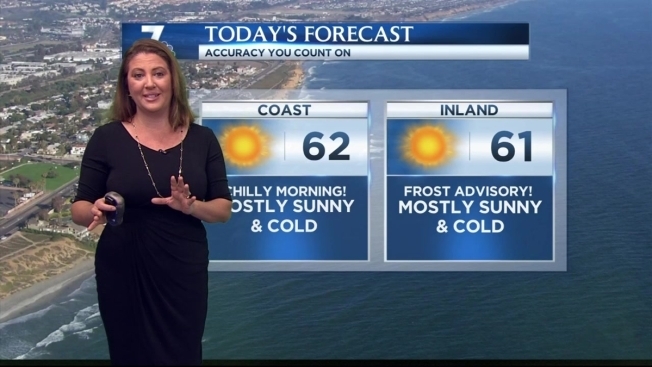 NBC 7 Meteorologist Jodi Kodesh advises that you take care walking to your car, this morning, as patchy frost may make for slippery grass and sidewalks. "Our high today will be approximately 62 degrees," Kodesh said. 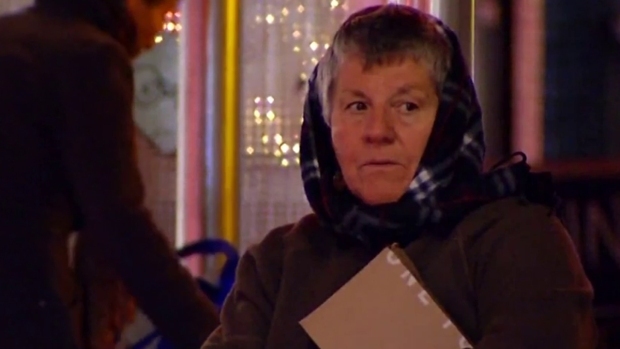 "When that sun sets, about 5 p.m., we're going to see temperatures plummet again." NBC 7's Dave Summers reports from North Park on who was bundled and who was trying to stay warm in flip flops and board shorts. On Tuesday, temperatures were so low in some parts of the county, people had to put their outdoor plans on hold. More than 140 golfers at The Vineyard Golf Club in Escondido had to delay the start time for a year-end scramble tournament.